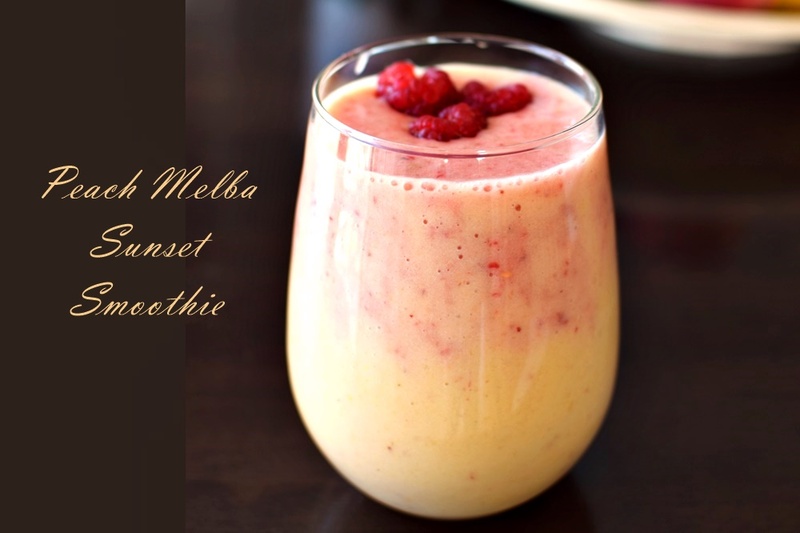 In a blender combine the frozen banana, peach, milk beverage, dairy-free yogurt, and honey or agave nectar. Blend until smooth. Pour most of the peach mixture into a serving glass, leaving about ⅓ cup in the blender. Add 12 raspberries to the blender, and blend until smooth. Pour the raspberry mixture on top of the peach mixture and use skewer or a thin knife to push the raspberry mixture down the sides of the glass to create pretty streaked ‘sunset’ appearance. Garnish with the additional raspberries.